“WASHINGTON – EPA is granting California’s waiver request enabling the state to enforce its greenhouse gas emissions standards for new motor vehicles, beginning with the current model year. Using the law and science as its guide, EPA has taken this action to tackle air pollution and protect human health. Prior posts on this particular California idiocy here. “We have also shown that solar activity, as characterized by the mean-squared daily variation of a geomagnetic component (but equally by sunspot numbers or sunspot surface) modulates major features of climate. 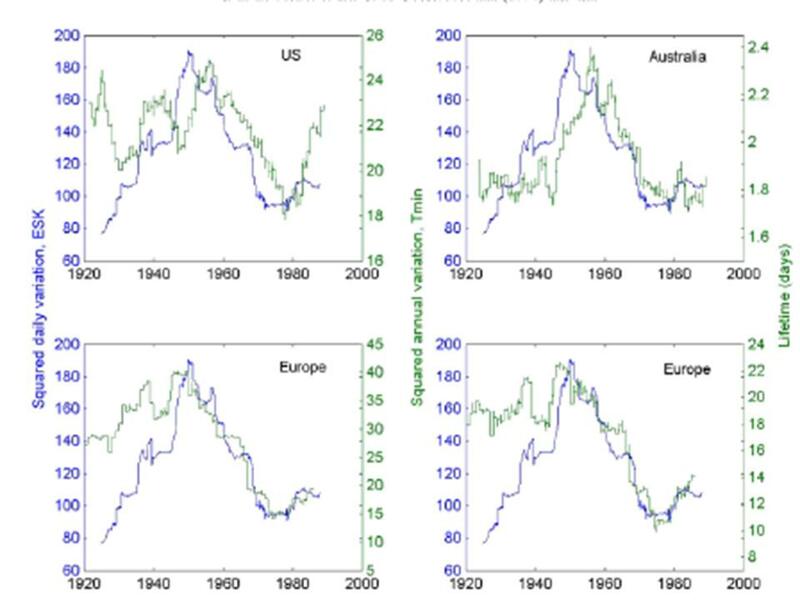 And this modulation is strong, much stronger than the one per mil variation in total solar irradiance in the 1- to 11-year range : the interannual variation, which does amount to energy content, varies by a factor of two in Europe, the USA and Australia. This result could well be valid at the full continental scale if not worldwide. 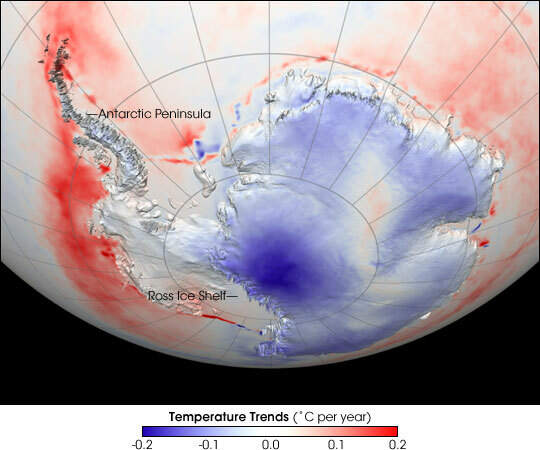 Jeff Id has worked out the weights given to the temperature trends of the four geographic regions of Antarctica by Stieg et al. in their paper which was featured on the cover of Nature early this year and created a sensation in alarmist circles and the press. Remember, by far the largest region of Antarctica is East Antarctica, followed by West Antarctica. 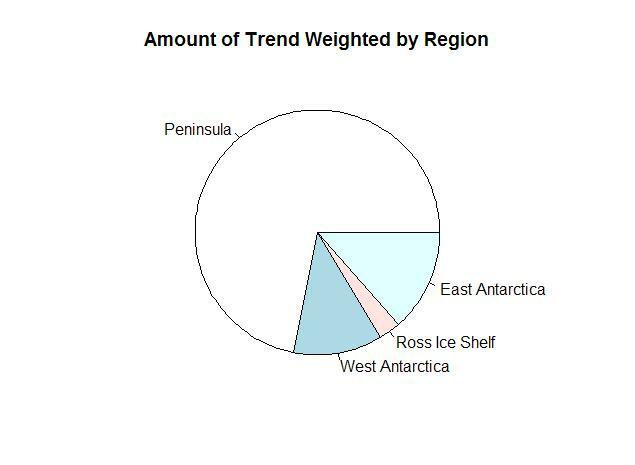 The Antarctic Peninsula, the only part of Antarctica where significant recent warming has occurred, is a very small percentage of the total area of the continent. “Over the coming days a curiously revealing event will be taking place in Copenhagen. Top of the agenda at a meeting of the Polar Bear Specialist Group (set up under the International Union for the Conservation of Nature/Species Survival Commission) will be the need to produce a suitably scary report on how polar bears are being threatened with extinction by man-made global warming. “America’s biggest oil companies will probably cope with U.S. carbon legislation by closing fuel plants [and laying off employees], cutting capital spending and increasing imports. Under the Waxman-Markey climate bill … refiners would have to buy allowances for carbon dioxide spewed from their plants and from vehicles when motorists burn their fuel. Imports would need permits only for the latter, which ConocoPhillips Chief Executive Officer Jim Mulva said would create a competitive imbalance. “It will lead to the opportunity for foreign sources to bring in transportation fuels at a lower cost, which will have an adverse impact to our industry, potential shutdown of refineries and investment and, ultimately, employment,” Mulva said in a June 16 interview in Detroit. Houston-based ConocoPhillips has the second-largest U.S. refining capacity.